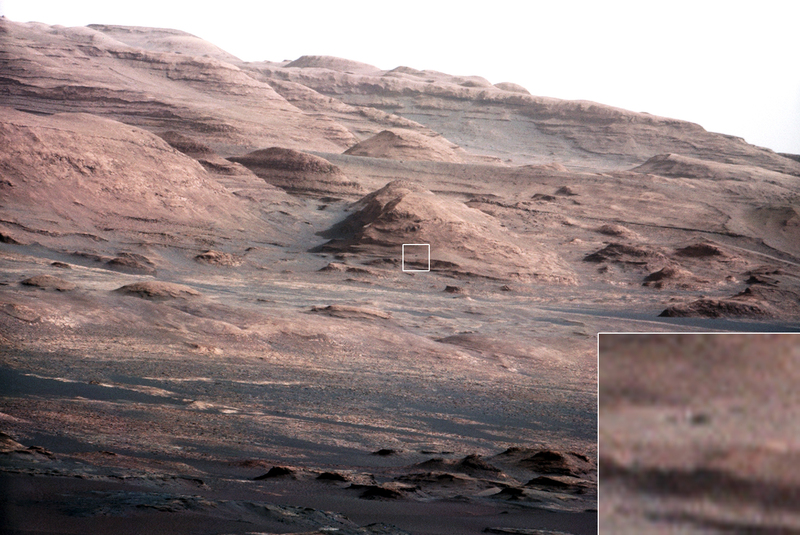 This image is a portion of a larger image taken by Curiosity's 100-millimeter Mast Camera on Aug. 23, 2012. See PIA16104. Scientists enhanced the color in one version to show the Martian scene under the lighting conditions we have on Earth, which helps in analyzing the terrain.